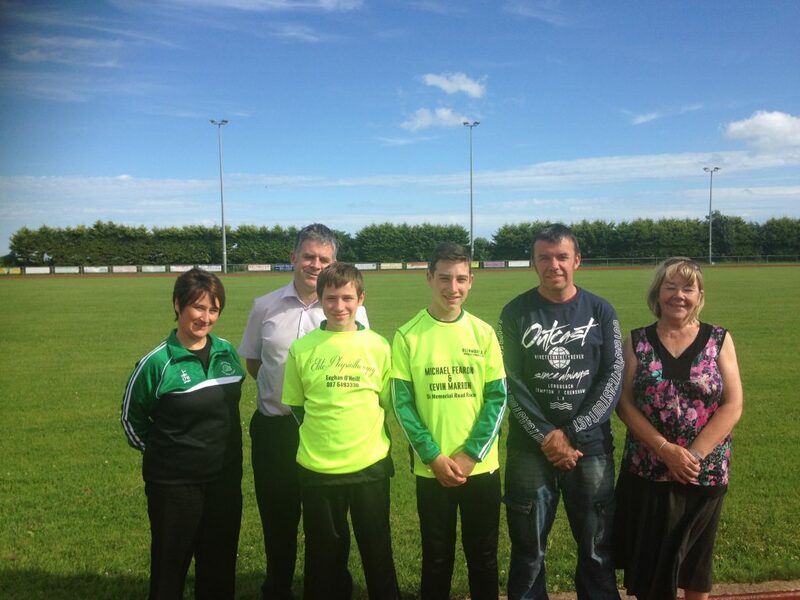 Carlingford 5km Tshirt sponsor Elite Physiotherapy (Eoghan O Neill) Omeath and Dundalk. Included in photo are Anne Marie O’Neill, coach, with Eoghan and club members Enda and Diarmuid modelling the new t-shirt! With Michael Fearon and Susan Fearon, son and wife of the late Michael Fearon after whom the race is called. With over 230 participants last year this annual race is becoming ever more popular. It will take place on Friday evening 5th of August through the streets of Carlingford . Please see flyer for further details. We would like to thank sponsors Elite Physiotherapy for their generous sponsorship and the Fearon and Marron families for their ongoing support for Glenmore AC and the race.